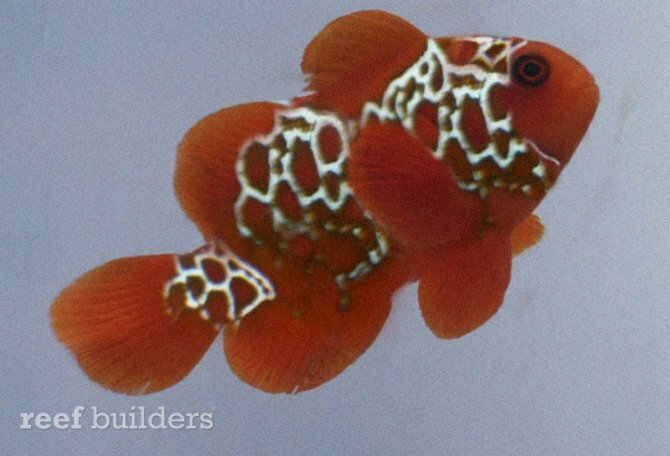 Back to back “wins” for the Lightning Maroon Clownfish as it’s photoshopped kin succeed in fooling many aquarists for a second year in a row! No doubt you may recall the annoucement of a “Third” Lightning Maroon being collected on April 1st, 2010. This amazing piece of artwork was done by Guin Apora and honestly had me fooled immediately. Nothing more than a cell phone image of a juvenile Maroon combined with embelished copies of the actual Lightning Maroon, throw a little grain on there and viola…an exceptional fake. Even after I knew it was an April Fool’s prank, I think it took a solid week for me to accept that in fact, it was a prank. Why? Well, I kinda wondered if the “prank” wasn’t in saying that this was real, but instead telling ME that it wasn’t! Learning from this experience, and knowing that Reef Builders has a longstanding tradition of April Fool’s stories, I sat down and thought about it a bit. The Lightning Maroon seemed an obvious target, but perhaps the fact that it had already been done made it the ideal candidate…who’d expect 2 years in a row. I instantly had a couple images in mind…shots of baby maroons from other breeder’s fishrooms, that might lend themselves to some creative photoshopping (afterall, I’m formally trained in Photoshop and have been using it since I was in my teens…if I can’t pull of a plausible fake, I should probably resign from my day job). In the end, it was my recent trip to Portland that singled out David Durr, my host and a fellow marine breeder, as my target. 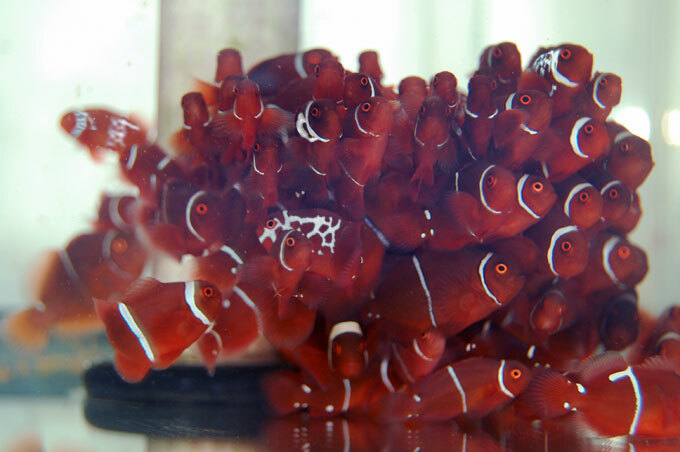 I had his Maroon image in very high rez from a collection of shots he sent to me for my fishroom talk. I also had other supporting info…other images, and a solid secondary story that is fully legit to further encourage buy-in. The best part – I never told him I was going to do this. David found out about the post with 2 back-to-back phone calls, including one inquiry from a customer who wanted to order some and indeed, a bit of frustration that he had indeed been “holding out” on his loyal clients! David’s own club caught wind in short order. 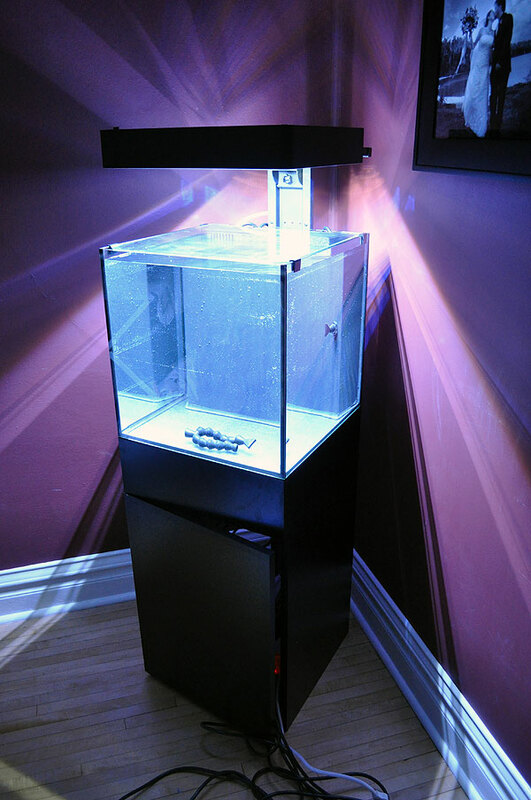 Of course, my personal favorite was the optimistic buy-in of some Reef-Geeks.com members – any post that starts with “HOLY CRAP” tells me the prank was a smashing success! Of course, given the 2010 prank’s success (yes, there are still people today who think that there was a THIRD Lightning Maroon collected), I figured I should really squelch this one pretty quickly with some undeniable, irrefutable proof that indeed, this was a classic prank and no, as much as I like David Durr and Clownfish Northwest, they don’t have any Lightning Maroons at this time. But they do have some really nice Picasso and Platinum Percs, so maybe you should still give ‘em a call!